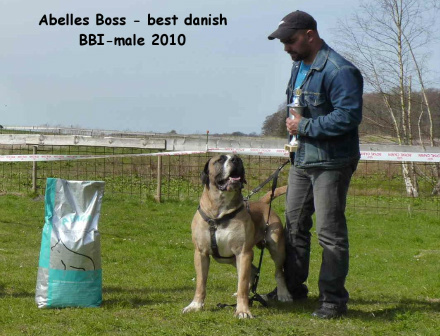 Boss is a big fellow ,about 80 kilo and 72 cm tall. 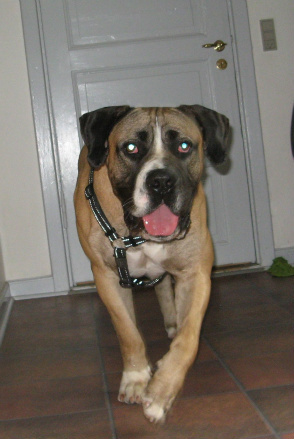 He is a son of "Samson" and "Viola" from our second breeding with these two dogs, in 2008. We like the way he stands on his legs, usually such big dogs are not in balance as him, we hope to find him a suited female some when in the future. 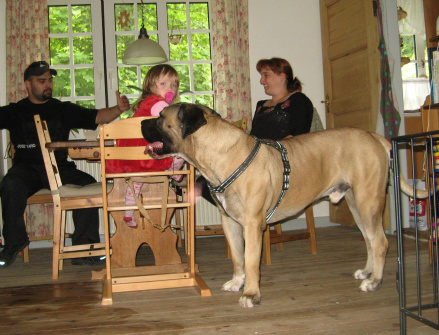 This picture was taken when Boss came on visit when he was around 2 years old, he lives a normal dogs live ,with a nice family with two children.